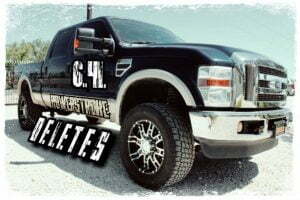 Welcome to our delete guide for the 2008-2010 Ford 6.4L Powerstroke. In this article, we will cover the available delete kit options for your Super Duty and what they can do to improve your engine’s reliability, while also increasing your MPG and HP. The 6.4L responds excellently to a good tune and a couple deletes, by running it on the stock ECU alone you are missing out on a huge increase in the driveability experience that your powerstroke is just waiting to give you. If you’re wondering why you would want to remove any factory systems from your truck and what the benefits are – hopefully this will help to answer those questions. Drastically slows down the bad oil dilution problem that 6.4s have, which decreases wear and extends engine life. Improves exhaust flow, turbo spool rate and lowers your exhaust gas temps, mainly because the restriction is no longer slowing the exhaust gases after the turbo. More efficient as far as MPG and HP without the restrictions or regen cycles. Better MPG by eliminating hot exhaust gasses from entering the intake. Extends the life of the EGR cooler because there is no more 1200 degree exhaust gasses passing through, which can cause the coolers to crack and fail. Removes the risk of premature engine damage from EGR system failure. So now that you can see the benefits of deleting your EGR and DPF systems, you might be asking what could possibly be the downside? Technically these modifications are not road legal if you drive your truck on public highways in the US. That being said, if you race your truck or live somewhere without enforcement of emissions, it would be a disservice to the life of your truck if you don’t do the deletes. Because of the restrictions in the US, you sometimes have to go out of your way to find parts for your race truck that can actually delete the EGR and DPF systems. To make it easier for those looking to find the right parts to pull this off, below I’ve listed what you will need for each type of delete and where to find them. Note: this guide is only for the ’08-2010 Powerstroke F-250, F-350, F-450, or F-550 Super Duty, if you have the newer 6.7L click here. 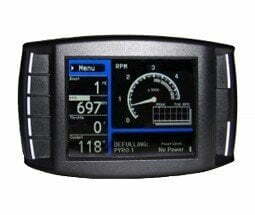 Hands down the best option for a 6.4 programmer, this preloaded SCT Livewire TS+ has tunes designed specifically for the 6.4L Powerstroke, ranging from a mild +40HP increase, all the way up to +250HP, for trucks with really built powertrains. There are also towing mode tunes that help greatly when you are trying to have the power and efficiency for pulling heavy loads. 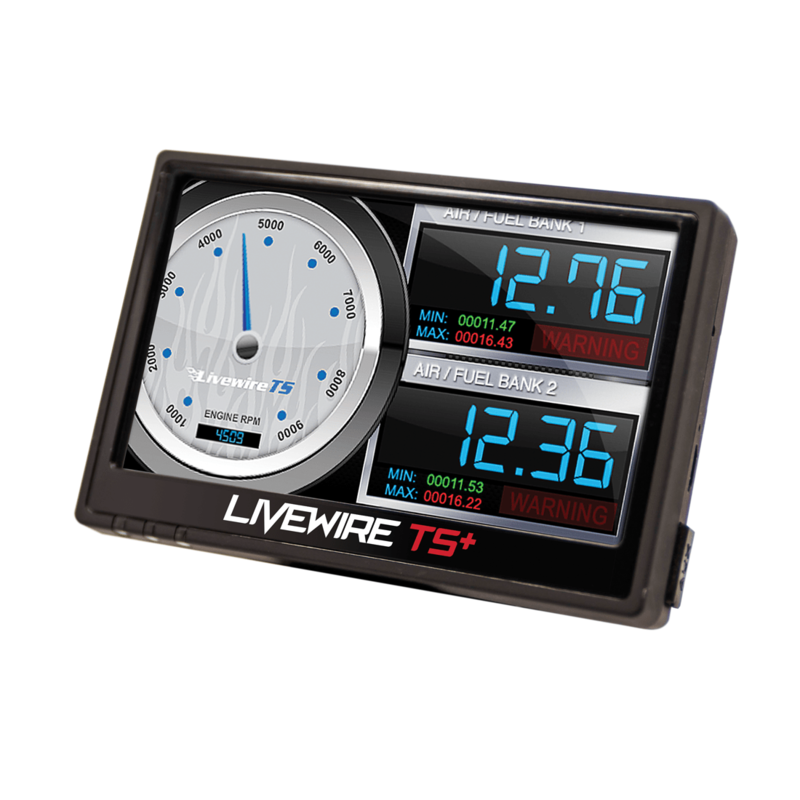 The Livewire tuners are flexible and highly customizable, but the most important feature; with the TS+ you have all the preloaded tunes that retain emissions, and the ones that allow you to delete the EGR and DPF individually or both together. The 6.4L tends to run best as a daily driver at the +135 HP tune with EGR and DPF deletes installed. It will feel like a whole new truck, just keep the boost below 40 psi if you’re still on stock head gaskets and bolts. If you’re feeling a little froggy (and have the supporting mods) you could try the +185 or +250 tunes, they really open the truck up. like crazy. Just beware of the touchier throttle on the higher tunes, it takes some getting used to. Also axle wrap becomes more of a concern at that HP too, take a look at some traction bars to solve the jerkiness. Another really good tuner for the 6.4 is this one from the now-defunct H&S. The Mini Maxx Race is the hot version that allows for the DPF and EGR to be removed. Right out of the box it has preloaded tunes for the 6.4L which let you delete the EGR and DPF and unleash your truck. It doesn’t have as many tunes, or the amount of customizability for the 6.4 that the nGage comes with, but it will allow you to add a lot more power and delete the emissions systems – for about half the cost. It’s the cheapest way to get the ability to delete the emissions systems, and it also serves as a good live engine monitor at the same time, with diagnostics built in. A solid 6.4L programmer choice, the MiniMaxx will work great for 90% of what daily drivers need. A race exhaust with a straight pipe to remove the DPF filter and DOC (catalytic converter) is required if you are running a tuner that deletes the DPF from the computer. Otherwise the filters will get clogged with soot because the regen will be turned off. This is terrible for backpressure, and has the potential to build up so much that it can pop your head gaskets if the restriction isn’t removed. This replacement exhaust takes care of the section of factory exhaust that normally houses the DPF and cat/DOC, eliminating those huge restrictions and replacing them with a straight through pipe. Not only does it replace the filter section, it replaces the entire exhaust from downpipe out to the back of the truck. Turbo whistle will be a lot more evident with this type of exhaust, so if you want to quiet that down for some reason, you’ll want to pick one of the aFe exhausts that include a muffler. You could also always add your own or just reuse the factory muffler. The new ATLAS exhaust is engineered to perform in the most extreme environments. This system is constructed from mandrel bent 4 inch aluminized steel tubing for maximum flow, increased horsepower, increased torque and lower EGT's. The 2-piece tailpipe and bayonet style hangers provide a hassle-free installation. To provide a leak-free seal, OE style band clamps are used that offer a 360 degree sealing area. 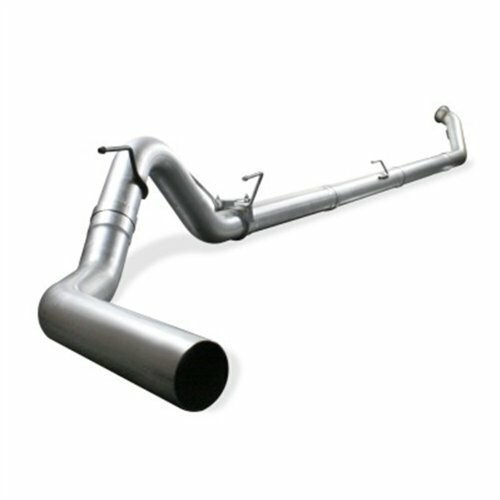 Systems are available in 4 inch turbo back or 4 inch down-pipe back without muffler. ATLAS exhaust systems are the perfect combination of performance, fit and value. Technically, after installing a tuner that deletes the EGR on your 6.4, it will no longer function and will be disabled. However, simply deleting the EGR codes in the computer and doing nothing else to remove the system is not the recommended way to do it. Leaving the EGR installed can still allow exhaust gasses to flow into the system, causing soot build-up that makes the valve stick open. 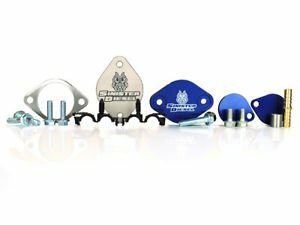 It’s just best to remove the system entirely with an EGR delete kit that has replacement coolant lines to remove the EGR coolers and the block off plates for the exhaust side, as doing it this way will eliminate any possibility of unreliability in the future. The EGR coolers have a terrible way of cracking and failing on these trucks, and when that happens it can spell disaster for your engine – the way the system is designed the failure can allow coolant to enter the cylinders, causing some very serious damage if not noticed. It’s even possible to hydro-lock the motor, which very quickly turns the engine into a write-off. This kit from S&B actually does what most air intake kits only claim to do. By enclosing the filter in a sealed box, S&B has figured out how to keep the air filter from heatsoaking in the hot engine bay air, while still allowing for easy access and a way to visually check the condition of your filter. It uses a oil-type filter, which can be washed and reused multiple times over. This is a big advantage in my opinion, saves a ton not having to buy new filters every tune-up, simply wash the filter and let it air dry before re-oiling and re-installing. Redefining Performance.Our new intake kit for the 6.4L demonstrates a 23.3% increase in airflow over the stock intake while still maintaining a 99.51% efficiency level with an oiled filter. The dry filter produces a 21.5% increase in airflow and is 99.59% efficient when tested at 593 CFM. ISO 5011 Filtration Testing.A mountain of dust and our 1/2 million dollar lab is how far we've gone to make sure your engine is protected. Fits better than stock.Easy to install with a fitment that rivals the OE intake. Securely mounts to the stock location. Generally, installs take 30 minutes or less. Get better.We test our kits to the same ISO 5011 Test Standard used by the automakers. See the test results tab above to see how we stack up against the competition. Want even more air?When its cool out, remove the included plug from the secondary box opening and engulf an insane amount of air. With the secondary port open, air flow is increased by 6.9% with a cleanable filter and 4.9% with a dry filter. Perfect for cold weather.We provided you with a port in the air box to install the heat tube for those driving in extreme cold weather conditions. A mounting port is provided for those who don't need to use the heating tube. 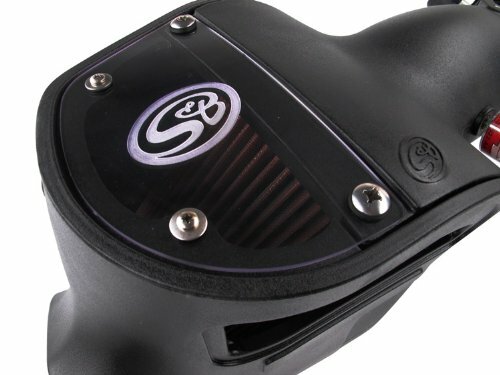 S&B Cold Air Intakes are easy to install providing you with an OE fit and aftermarket performance. Filtration is what S&B prides its self on and is able to provide exceptional airflow characteristics without sacrificing efficiency, allowing for more air in, and more power out. S&B Filters tests and post findings to ISO 5011 standards. On the more modern Powerstrokes, another benefit to deleting the DPF systems is that you no longer have to buy urea to fill up the aux tank for the DEF system to run on. With the 6.4L, it does not actually use a DEF type system so there is no need to worry about that in the first place, once you eliminate the DPF from the exhaust and flash the tune, you are essentially done. Hopefully you now have a good idea of what it takes to remove these systems from your truck, and have a feel for what parts are the best for doing so. As always, we would love to hear any questions or comments that our readers might have, so feel free to drop us a line in the comments below. Thanks for reading!